You are likely to dig yourself a bit of a hole around the 5th. The start of the month is deceptively sweet and sugary, with the emphasis on socializing and get-togethers, but the end of the second week may see you trying very hard to disentangle yourself from an awkward situation or moment. A good tactic is to count to ten before promising anything. Cash matters come under the spotlight after the 17th. If money looks strong on the 15th, or you enjoy a lucky win, then avoid spending it, because by the end of the month your cash reserves could see a dramatic dip. How will April treat a Scorpio? Our live psychics have the answers. We've have the perfect psychic waiting for you. 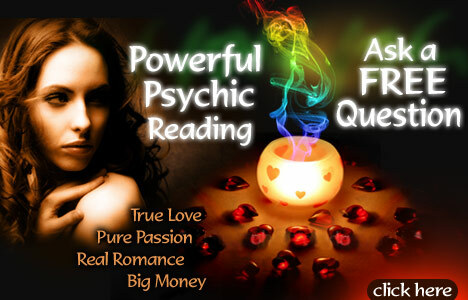 Click Here or Call 1-888-751-4333 for a FREE psychic phone reading right now.